The Well-Appointed Catwalk: Felt - Keeping German Eggs Cozy? Felt - Keeping German Eggs Cozy? 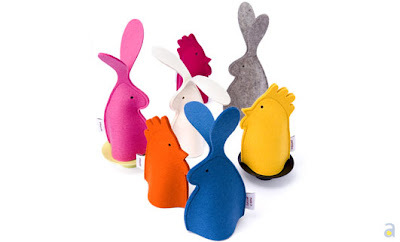 Housewares shop Arbitare is selling nearly everything for 30% off right now, including these felt egg cosies made in Germany. Very cute, but what in the world do you do with an egg cosy? Any Germans out there know the answer to this?